President Muhammadu Buhari has written the Senate, explaining why he refused to assent to the Electoral (Amendment) Bill, 2018 recently passed by the National Assembly. His action had led to a lot of reactions from Nigerians. The Senate President, Bukola Saraki, read the President’s letter at the plenary on Tuesday. President Buhari’s letter to the senators reads: “Pursuant to Section 58 (4) of the Constitution of the Federal Republic of Nigeria 1999 (as amended), I hereby convey to the Senate, my decision on 6th December 2018 to decline Presidential Assent to the Electoral (Amendment) Bill, 2018 recently passed by the National Assembly. “I am declining assent to the Bill principally because I am concerned that passing a new electoral bill this far into the electoral process for the 2019 general elections, which commenced under the 2015 Electoral Act, could create some uncertainty about the applicable legislation to govern the process. “Any real or apparent change to the rules this close to the election may provide an opportunity for disruption and confusion in respect of which law governs the electoral process. “B. Section 11 of the Bill, amending Section 36 should indicate the subsection in which the provision is to be introduced. 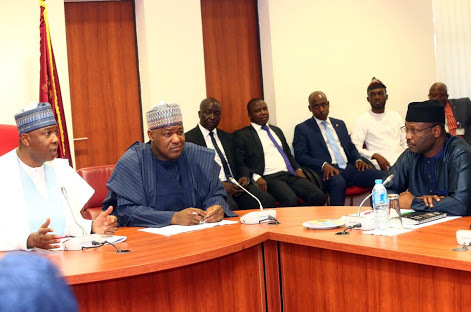 After Saraki finished reading the President’s letter, Senate Leader moved that all items on the Order Paper be stood down to another legislative day. Minority Leader seconded the motion and the Plenary adjourned to Wednesday, 12th December, 2018. Hey Buddy!, I found this information for you: "Why I Refused To Sign Amended Electoral Bill – Buhari". Here is the website link: https://headlinenews365.com/why-i-refused-to-sign-amended-electoral-bill-buhari/. Thank you.